The legendary Hong Kong filmmaker sits down with host Eric Hynes to talk about his latest feature, The Grandmaster. The first half of The Grandmaster is set in a period that’s new to Wong’s cinema: China before the revolution. (I am excepting the setting of Ashes, more mythic than historical.) This is not the decadent, Westernized jazz age Republic, but a world steeped in centuries-old continuities, a 1936 where the imperial past is still not really past. Seemingly shrouded in layers of unknowable mystery, it becomes, after a second look, stunningly lucid though still as exhilaratingly hazy as human recollection; Wong’s poetical style has never found so perfect a match in subject matter. It has remained one of the most shattering moviegoing experiences of my life. In my recollection, and that of many others, the film is the consummate tale of unconsummated love. Made at the turn of the 1990s, the film both anticipates Hong Kong’s handover from British rule to mainland China in 1997, and evokes the past, specifically the 1960s; Days thus bears feelings of both longing nostalgia and reckless exuberance, personal displacement and political tumult. For a film so resigned to the distance, both collaterally established and self-imposed, one must traverse in an attempt at companionship, Fallen Angels is surprisingly soulful in execution. 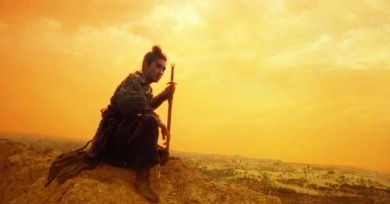 This is a film of faces and gestures, not of expansive terrain or large-scale battles. In a brisk hour and a half, Wong downplays incident, including a few extended sequences of pure mood. 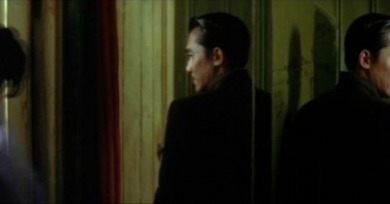 Do the queer romances at the film’s center become one-to-one matches for their straight counterparts elsewhere in Wong’s oeuvre, or does this brief encounter between recognizable directorial vision and atypical topic tweak the inner workings of Wong’s style? There’s no strict design to the film: one gets the sense that there could have been an infinite number of other versions of Chungking Express—with just a slight turn, the camera may have alighted on a different lonely soul and begun an entirely new story.